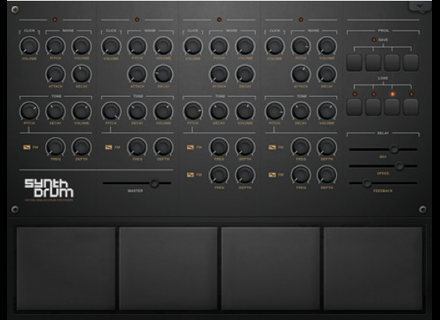 SynthDrum Pads, Virtual instrument for iPhone / iPod Touch / iPad from Design By Paul. Paul Betowski released SynthDrum Pads, a new percussive synth app for the iPad that can recreate both vintage and modern drum sounds. 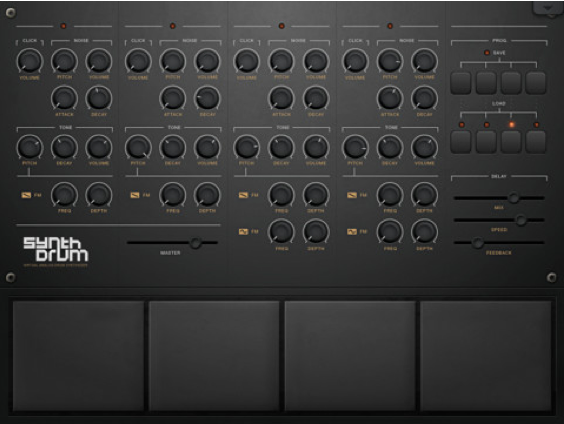 From the TR-808 to the most recent drum machines, the SynthDrum Pads app can be used for creating rhythms, basses and melodic parts. SynthDrum Pads is available for $4.99 at the AppStore, it is compatible with iOS 5.0 and later on iPad only. Details of the application can be found at designbypaul.co.uk. Friday's Freeware: Effects for Everybody The freewares of the week come from Sonic Emblem, an online mixing and mastering service that also develops plug-ins. Flash sale on UVI Emulation I and II UVI launches a three-day sale on its Emulation One and II synth sound libraries. 3 new Steinberg Loops Sets Steinberg introduces Klanghaus, Guitar Spheres and Platinum Guitars, three new VST Loop Sets for Sequel, Cubase and Nuendo.